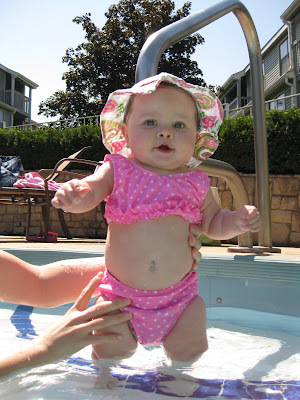 The View Across Town: The first of many bikinis! The first of many bikinis! That is the cutest bikini!!!!! She is too cute!!! All aboard! Time to get on the Sushi Train! She REALLY wanted this treat! This popped up just in time for Mowing Monday! Baby, oh baby ... continued! The first of many photos this weekend! Classroom: ready. Lesson: not ready. Nice & cool INSIDE for a movie! Can you see our final destination?